It's been quite some time since I wrote anything. We've changed everything in the last few weeks. Our plan, our destination and even the language we need to learn. It was an overwhelming and emotional decision, but we couldn't sell our house so we had to move forward. Without the funds from a house sale we don't have the money for a Brazilian investor visa, but because of the auction house that deals Mike's work we qualify for a rentisa visa to Argentina. 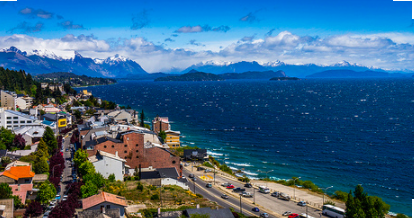 Our second choice city is called San Carlos de Bariloche. It's a beautiful place near the border of Chile, and next to the Andes mountain range. The city has an alpine style to it and is famous for it's skiing and it's chocolate ( this sold it for my kids). There are chocolate shops everywhere and a big chocolate factory that offers tours. There's also a three hour hike you can take to the top of the Villarrica Volcano and see the lava lakes inside! We've been working on spanish this last week or so and it's muy bien! It's very close to portuguese, and I'm still hoping we'll get over to Curitiba to see the city and practice our language skills there. Our flight has been booked for Nov. 28th, out of JFK, and I've set up our temporary housing for one month ( hopfully that will give us enough time to find an apartment). We've starting filling our storage space here and we're getting rid of whatever we can. The kid's start school here tomorrow. They'll stay long enough to finish one trimester, then when we arrive it'll be summer there. They'll start all over again when March rolls around (in spanish), in the local schools. I'm not sure if spanish is an incredibly easy language to learn or if I'm just getting better at picking up languages, but in just one week we went through five Pimsluer lessons, (we did one a week with portuguese). It probably gets harder as we go along.